Bringing spa experience home, bringing health home! The home spa makes your whole family happy! 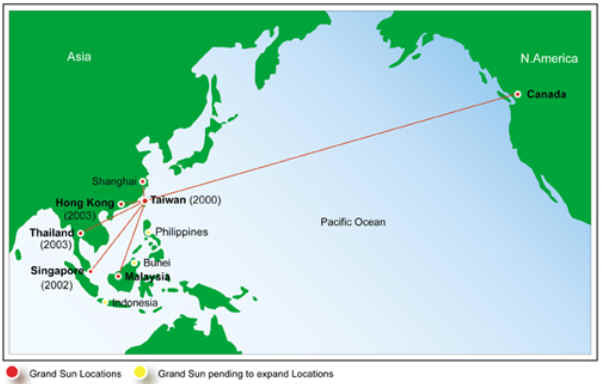 Grand Sun has become a household name in South East Asia with locations in Taiwan, Hong Kong, Thailand, Malaysia and Singapore as well as China. Upcoming locations are also planned in the Philippines, Indonesia and Brunei. Look at the business scope map above and you can see the product is still in its enfant on the market.